Update: Skyfire is now available! Update 2: Skyfire has pulled its browser from the App Store due to being unable to keep up with demand on its transcoding servers. We’re being told that the company is working on increasing its capacity and the application should be back online after this happens. As you’re probably well aware Adobe’s Flash has been banned from all Apple iOS devices from day 1. Today, some relief for those frustrated by the matter. 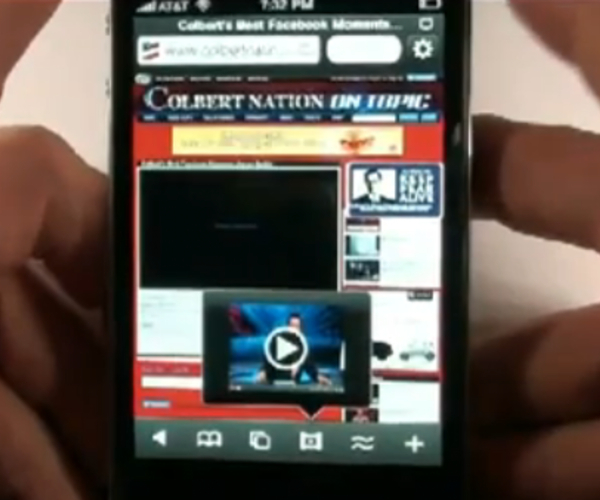 Apple has approved Skyfire, a browser that converts Flash into HTML5 to play on the iPhone and iPad. How does it do it? It sends the content it to its own servers and translates it to HTML5 – supposedly – in a matter of seconds. Skyfire first submitted the browser for App Store approval on Sept. 1 and has since reportedly made a number of changes to meet Apple’s strict guideliens related to HTML 5 video streaming. Skyfire, reportedly available for download this Thursday, will set you back $2.99 and will let you watch video on all flash enabled video sites. Unfortunately the one site you won’t be able to watch video on is Hulu – no loss to those outside of the US. So is this likely to work smoothly? In some cases, quite possibly. The fact is however that Skyfire has to scan every page you load for flash content, send it to its servers and then send it back – all in a matter of seconds to make it usable. Will it actually do that? I doubt it, but would loved to be proved wrong. If you’re hoping to be able to play flash games on the browser, get that silly thought out of your head – this is strictly video only. Skyfire has been available on Google’s Android OS since May and has surpassed over 2 million downloads.